Anny Cazenave is senior scientist at the ‘Laboratoire d’Etudes en Géophysique et Océanographie Spatiales’, Toulouse, France, and director for Earth sciences at the International Space Science Institute, Bern, Switzerland. Her research deals with the applications of space techniques to geosciences (geodesy, gravity and solid Earth geophysics; sea level variations and study of climatic causes; global water cycle and land hydrology from space; climate research). She has long experience in using satellite altimetry for studying the marine geoid, land surface waters and sea level. She published >200 articles in international journals and edited several books. She served as ‘science leader’ of the ESA CCI project on sea level. She contributed as lead author to the IPCC WGI (4th and 5th Assessment Reports). She is currently member of the Joint Science Committee of the WCRP and of the Advisory Committee of Future Earth. She is Fellow of the American Geophysical Union, member of the French Academy of sciences and foreign member of the American, Indian and Belgium academies of sciences. Martin Visbeck is head of research unit Physical Oceanography at GEOMAR Helmholtz Centre for Ocean Research Kiel and professor at Kiel University, Germany. His research interests revolve around ocean dynamic and the ocean’s role in the climate system, integrated global ocean observation and ocean sustainable development. As the speaker of the German excellence initiative “The Future Ocean” in Kiel, he is involved in integrated marine sciences bringing together different disciplines to work on marine issues. He is leading the EU AtlantOS Project on sustained ocean observing in the Atlantic. Through his active participation in several national and international advisory committees, most recently as member of the informal advisory board of the UN “Ocean Science Decade for Sustainable Development 2021-2030”, Martin Visbeck is involved in strategic planning and decision-making processes about the ocean and sustainable development at a national, European and global level. Professor Shaun Quegan received his B.A. in mathematics and M.Sc. in mathematical statistics from the University of Warwick, then taught for seven years before undertaking a PhD in upper atmosphere/ionosphere modelling at the University of Sheffield. He joined Marconi Research Centre in 1982, becoming Remote Sensing Applications Group Chief in 1984. After joining the University of Sheffield in 1986, he built up a radar research group, and in 1993 helped to inaugurate and became Director of the Sheffield Centre for Earth Observation Science. In 2001 he became Director of the NERC Centre of Excellence in Terrestrial Carbon Dynamics and became leader of the Carbon Cycle Theme in the UK National Centre for Earth Observation (NCEO) when it was inaugurated in 2008. He was a lead proposer of the ESA BIOMASS mission and chairs the Mission Advisory Group. He is a member of the Terrestrial Observations Panel on Climate, the JAXA Kyoto and Carbon Panel (leading a project on monitoring deforestation in Indonesia & Brazil), was Chairman of the Terrestrial Carbon Observations Panel, and was a member of ESA’s Earth Science Advisory Committee from 2002-2007. Dr Bob Brewin is a senior scientist at PML. He joined PML in 2010 and completed his PhD at the University of Plymouth in 2011, on the detection of phytoplankton size structure using satellite observations. He has been a post-doctoral fellow of the European Space Agency (ESA) and has worked on a variety of ESA projects, including the Ocean Colour Climate Change Initiative and projects focused around a series of Atlantic Meridional Transect cruises. He is currently working for the National Centre for Earth Observation. His research focuses on the use of satellite data for understanding marine biogeochemistry and on marine-based citizen science projects for measuring key environmental indicators such as water temperature and water quality. He has conducted research globally, in European seas, in the Atlantic Ocean, in the Red Sea and in the Indian Ocean, spanning a range of marine ecosystems from the coast to the open ocean. He has spent nearly six months at sea collecting biogeochemical and optical data for validating satellite ocean observations and for developing and testing satellite algorithms for the detection of chlorophyll concentration, phytoplankton functional groups and sea surface temperature. Julia Marshall is a group leader at the Max Planck Institute of Biogeochemistry in Jena, Germany. Originally from Canada, she studied Physics at McGill University in Montreal before moving to Dalhousie University in Halifax for graduate school. There she completed her PhD in Physics and Atmospheric Science with a thesis looking at the optical properties of aerosol particles, using both field measurements and radiative transfer models. After a short postdoc at the Canadian Centre for Climate Modelling and Analysis in Victoria on Vancouver Island, she moved to Jena in 2007 for a postdoc position in carbon cycle science in the GEMS project, a precursor of today’s Copernicus Atmosphere Modelling System. Since 2011 she has been leading a group focusing on satellite-based remote sensing of greenhouse gases, and their application in inverse modelling to better constrain our knowledge of surface fluxes of carbon dioxide and methane. Marie-Hélène RIO is a research scientist in space oceanography working at CLS (Collect, Localisation, Satellites, Toulouse, France) since 2005. Born in France, Marie-Helene jointly prepared a Space Engineering Degree at Supaero, a French Space and Aeronautics Engineering school and a master degree in physical oceanography. After a doctoral degree prepared at CLS on the combined use of altimetry, gravimetry and in-situ data for the estimation of the ocean Mean Dynamic Topography, she focused her research activities on the estimation and analysis of the ocean surface and sub-surface dynamics from the combination of space and in-situ measurements of the ocean. In particular she has been working on the modeling of Ekman currents and more recently on the use of Sea Surface Temperature data to enhance the altimeter derived ocean currents. Since 2013 she has been deeply involved in the Globcurrent project, a Data User Element from the European Space Agency whose objective is to to exploit the synergy between in-situ and space data to improve the satellite Ocean Surface Currents measurements and demonstrate their impact in user-led applications. Zoltán Vekerdy is a hydrologist and remote sensing specialist, who works for the ITC Faculty of the University of Twente, Netherlands and the Szent István University, Hungary. Since the early eighties, his field of interest has been the application of Earth Observation for water management, with focus on environmental and agricultural aspects. He did research on different aspects of the water cycle, with focus on a number of wetlands around the world, including ones, in Iran, China, Mexico, and several countries of Africa. Throughout his carrier, he has been supervising several young researchers at PhD and MSc levels at universities of the US, Netherlands, Hungary, South Africa and Zambia. He (co-)authored more than hundred thirty scientific publications, including peer-reviewed articles, book chapters and scientific reports. Since 2008, as the Principal Investigator of the TIGER Capacity Building Facility funded by the European Space Agency, he has been coordinating the network of several hundreds of researchers working on more than fifty Earth observation research projects in the water sector of Africa. Jörg Ebbing is Professor of Geophysics at Kiel University since 2014. Born in Düsseldorf, Jörg studied geophysics at TU Clausthal and Kiel University. After the Diploma, he did his Doctoral degree on the “Lithospheric structure of the Eastern Alps” in Natural Sciences at FU Berlin in 2002. He then worked as a Senior Researcher at the Geological Survey of Norway (2003-2014) and was Lecturer at the Department of Petroleum Technology and Applied Geophysics at the Norwegian University of Science and Technology in Trondheim (2006-2016). In 2014, Jörg headed back to Kiel to head the Satellite- and Aerogeophysics team at the Institute of Geosciences. 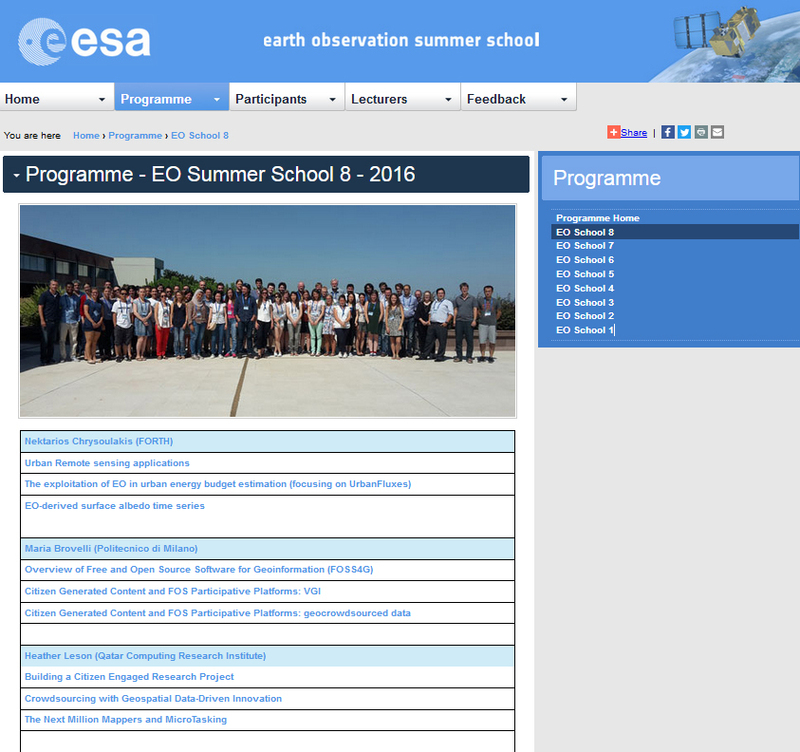 Since 2010 has been involved in various ESA projects addressing the scientific exploitation of satellite missions, foremost from GOCE and Swarm, for Solid Earth modelling. Herby, the integration of satellite observations with other geophysical methods by forward and inverse modelling is a focus of his research. Amos Lawless is an associate professor of data assimilation and inverse problems at the University of Reading. From 1992 to 2001 he worked at the Met Office in the U.K., where he developed the linear and adjoint models used in their four-dimensional variational data assimilation system. He gained his PhD while working at the Met Office, before moving to the University of Reading in 2001. His scientific interest is in the mathematics of data assimilation, in particular the development and analysis of efficient numerical methods to solve the data assimilation problem in large, complex systems. His recent projects have included work on coupled atmosphere-ocean data assimilation, land surface data assimilation and the representation of observation error correlations. He is part of the UK National Centre for Earth Observation (NCEO). Leif Toudal Pedersen received the M.S. degree in microwave engineering from the Technical University of Denmark (TUD) in 1982 and the Ph.D. degree in passive microwave remote sensing of sea ice from the Technical University of Denmark in 1992 from the Electromagnetics Institute at TUD. From 2000 to 2007 he was an Associate Professor at Ørsted-DTU and DTU-Space, Denmark. From 2007 to 2016 he was a Senior Researcher/Special Consultant at the Danish Meteorological Institute and since 2017 he is back at DTU-Space as a senior scientist. Research interests include the retrieval of ice, ocean and atmospheric parameters from multispectral microwave radiometer measurements as well as other methods for remote sensing and modeling of sea ice, including data assimilation of remote sensing data in sea ice models. He also serves as a Danish delegate to ESA’s Programme Board for Earth Observation and its technical advisory board (DOSTAG). I am Professor of Earth Observation at the University of Leeds, Director of the NERC Centre for Polar Observation and Modelling, Principal Scientific Advisor to the European Space Agency CryoSat satellite mission, and co-leader of the ESA-NASA Ice Sheet Mass Balance Inter-comparison Exercise. I use satellites to study physical processes of Earth's climate, and my main contributions to science have involved developing remote observations of the cryosphere, with particular emphasis on the quantitative techniques of radar interferometry and radar altimetry. I have also worked on studies of arid land degradation using satellite infrared radiometry and models of atmospheric radiative transfer, and I have led satellite validation campaigns in Europe, Africa, and Antarctica. I was educated in the Department of Physics and Astronomy at the University of Leicester, and I have held academic posts at University College London, at the University of Cambridge, and at the University of Edinburgh. hidden capabilities, and/or to promote the integration of data and models, possibly leading to the design of future observing systems. Dr. Giuseppe Consolini is a Senior Research Scientist at the Italian National Institute for Astrophysics working in the framework of space plasma physics. His main research interests are turbulence and dynamical complexity in solar, heliospheric and circumterrestrial plasmas, Sun-Earth relationships and Space Weather. In the year 2000 he received the Award of the Foundation "Dott. Giuseppe Borgia" given by the Italian "Accademia Nazionale dei Lincei" in recognition of his contribution to the Earth's magnetospheric critical dynamics. He currently acts as Lecturer at the Dept. of Physics of the University of Rome “Tor Vergata”, for the classrooms of Physics of Plasmas and Advanced Statistics. He is Co-Investigator of some experiments on-board of future ESA space missions. He gave numerous invited talks in national and international conferences, workshops and schools, and published 174 papers and book chapters (out of which 128 peer reviewed ones). Miguel Mahecha studied environmental sciences and then dedicated his PhD to study ecosystem-atmosphere interactions on multiple time-scales. His current work focuses on detecting, understanding, and attributing extreme events in the terrestrial biosphere. Today he is leading a research group working on empirical inference from observational data at the Max Planck Institute for Biogeochemistry, Jena, Germany and is member of the German Centre for Integrative Biodiversity Research (iDiv). He is coordinating the H2020 project BACI – “Detecting changes in Essential Ecosystem and Biodiversity Properties - Towards a Biosphere-Atmosphere Change index” and the ESA project “Earth System Data Lab” – a light-weight data cube approach to explore the ESA CCI data. Dr. Jochem Verrelst received the M.Sc. degree in tropical land use and in geo-information science both in 2005 and the Ph.D. in remote sensing in 2010 from Wageningen University, Wageningen, Netherlands. His dissertation focused on the space-borne spectrodirectional estimation of forest properties. Since 2010, he has been involved in preparatory activities of FLEX. His research interests include retrieval of vegetation properties using airborne and satellite data, canopy radiative transfer modeling and emulation, and hyperspectral data analysis. He is the founder of the ARTMO software package for automated running of radiative transfer models and retrieval of vegetation properties from optical remote sensing data. In 2017 he received a H2020 ERC Starting Grant (\#755617) to work on the development of vegetation products based on synergy of FLEX and Sentinel-3 data. Fabrice Collard graduated from the Ecole Centrale de Lyon in 1996, where he studied off-shore engineering. In 2000, he received the PhD in oceanography and meteorology from Paris 6 University. His thesis was dedicated to the three dimensional aspect of wind-wave field. He spent two years working on HF radars as a post-doctoral research associate at RSMAS, Miami, USA. He then joined IFREMER for the cal-val of the SAR Wave mode onboard ENVISAT. Starting a small company, BOOST Technologies, with two other colleagues, he developed tools for wind/wave/current retrieval from SAR data before BOOST became the Radar Application Division of CLS of which he was head of the R&D department, working on the development and validation of surface wind, wave and current retrieval processor for ENVISAT and Sentinel-1. He then started in 2013 a new startup, OceanDataLab (https://www.oceandatalab.com) to develop tools and methods for analysis of Ocean Remote Sensing data, with an emphasis on exploiting the synergy between the different satellite/in-situ sensors for data-driven model development and numerical simulations validation. Lucile Gaultier graduated from a general engineering school (ENSTA, Ecole Nationale des Techniques Avancées, with a specialization in environment) in 2009. She received her PhD in 2013 on Improving the estimation of ocean surface currents using sea surface temperature and chlorophyll high resolution images. She spent two years at JPL (Jet Propulsion Laboratory, NASA / Caltech, Pasadena, US) working on using the synergy of remote sensing observation to improve the estimation of the surface of the ocean. She has also been involved in the scientific definition of the SWOT mission, which is an innovative mission aiming at measuring ocean surface dynamic at high resolution. In late 2015, she has joined OceanDataLab and she is now a Research Engineer, working on improving the reconstruction of ocean surface current using various remote sensing data as well as on the use of the synergy of data and Lagrangian diagnostics to improve our understanding of the ocean surface dynamics. Ewan Pinnington graduated from the University of Reading in 2013. He received his PhD in 2017 on understanding the information content in diverse observation of forest carbon stocks and fluxes for ecological modelling and data assimilation. He is currently a postdoctoral research assistant at the University of Reading, working on a European Space Agency project simulating observations for the Sentinel 1 and 2 missions. He is also working for the National Centre for Earth Observation on the Overseas Development Assistance programme, where he has used data assimilation with the JULES land surface model and ESA CCI observations to improve soil moisture estimates over Ghana. Ewan’s main research interests are the application of data assimilation techniques for the land surface. Natalie Douglas currently has two half-time positions at the University of Surrey in the UK: a post as Research Fellow and the other as Teaching Fellow. Natalie started her own business in maths tuition having completed both her undergraduate and postgraduate degrees at Surrey and returned to a part-time career in academia a few years later. Although her PhD was in Fluid Dynamics, Natalie maintained research interests in other areas including Data Assimilation. She has supervised two DA masters projects and is currently working on a DA research project with colleagues at Reading University also in the UK. This project aims to design a system that retrieves a smooth time series of Leaf Area Index as well as various parameters for the Sellers model of terrestrial radiative transfer by assimilating albedo data from MODIS satellite measurements using an Extended Kalman Smoother. Zackary Bell received a BSc in mathematics from Cardiff University and a MSc in mathematics with atmosphere-ocean dynamics from the University of Leeds before moving to Reading, where he is currently a PhD student in the Data Assimilation Research Centre (DARC). His research is on methods of data assimilation that compensate for representation error, with application to numerical weather prediction for urban areas. Javier Amezcua recevied his BSc in Physics and aMSc in Statistics from the Monterrey Technological Institute (Mexico). He then got his PhD in Atmospheric Science from the University of Maryland College Park, where he specialised in Data Assimilation (DA). Since 2012 he has been part of the University of Reading, and is also a member of the UK National Centre for Earth Observation (NCEO). As a part of the Data Assimilation Research Centre (DARC) in Reading, his research includes the study and development advanced DA methods including hybrid ensemble-variational methods in the presence of model error, as well as particle filters. He has supervised some PhD and MSc students, and he teaches Statistics to BSc, MSc and PhD students in the department. He has been an instructor in several summer schools organised by ESA, ISRO (Indian Space Research Organisation), ECMWF/NCEO), etc. Hans Permana graduated as a Telecommunication Engineer from RMIT University, Melbourne, where he also obtained his PhD. An engineer turned software developer, he moved to Hamburg in July 2015 and started working with Brockmann Consult GmbH after a 2-years spell in Auckland, NZ. Since then, he has been involved in several projects for ESA and other customers. He started off as a back-end developer dealing with Tomcat, Docker, WPS, Jupyterhub server, etc., but recently fell in love with front-end development after a commitment in a project that necessitated him to program with ReactJS in TypeScript. He was involved in CAB-LAB, a predecessor of the Earth System Data Lab project, where he was involved in the creation of the Data Cube as well as in configuring the E-laboratory platform with Jupyterhub to exploit the Data Cube. His current interests include web application design, cloud infrastructure and frameworks to exploit EO data.